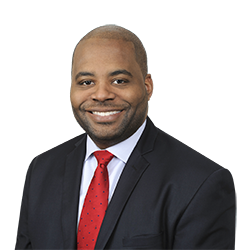 Damon M. Brown | Littler Mendelson P.C. Damon M. Brown has successfully developed and executed pre-litigation resolution strategies as well as represented employers in federal and state court at every stage of employment litigation, including harassment, discrimination, wrongful termination, and whistleblower retaliation claims, wage and hour class actions, unfair competition, workers’ compensation discrimination claims and OSHA matters. Damon is a trial lawyer, having tried a number of cases to verdict. He also negotiates and drafts employment, executive compensation, confidentiality and severance agreements and regularly defends employers in actions filed with state and federal agencies such as the Public Employment Relations Board, Department of Fair Employment and Housing, Equal Employment Opportunity Commission, U.S. Department of Labor, California Division of Labor Standards Enforcement, and the Office of Administrative Hearings. In addition, Damon has traditional labor relations experience representing employers during collective bargaining, union organizing drives and in grievance arbitrations, and defending employers against unfair labor practice charges before the National Labor Relations Board. The diverse client base he represents includes municipalities, K-12 and community college districts, non-profits, and businesses in the healthcare, manufacturing, airline, hospitality, technology, food service, trucking and retail industries. Damon is a frequent speaker on employment law topics, including workplace harassment, wage and hour, discrimination, disability accommodation and leave of absence administration under the Family Medical Leave Act and the California Family Rights Act.